Have you visted our indoor skatepark? This section is for foot wear which has been picked out especially by locals and our team riders. 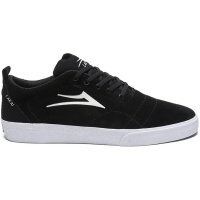 These skate shoes are designed to survive the toughest conditions and give great board feel. 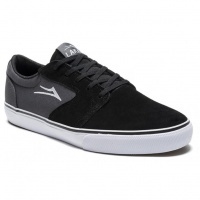 skate shoes and trainers for skateboarding and longboarding from top brands such as Duffs, Es, Emerica, Fallen, DVS, Lakai and more! In 1993, Mike Carroll and Rick Howard thought they might have a better formula for a skateboard company, one that made products the team would be proud of. Black and White perfection. 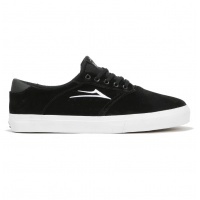 This modernised skate shoe with premium comfort and performance in mind is one to go for. 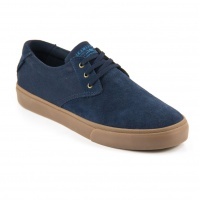 Such a top end shoe and we love it. New for spring 19, the Cambridge in grey. 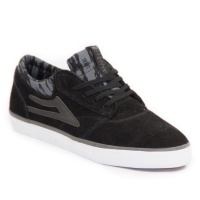 neutral colour scheme meets a mixture of suede and mesh for a banger of a skate shoe. loving the silhouette on these. This Flaco 2 in Colaboration with the one and only Glaboe (Fatcapcaptn). Glaboe is a street artist. The Flaco is in a new colourway of white and red and it looks incredible. Stevie Perez's first signature shoe, the Flaco features a Lux-Lite sock liner and a Co-Bound ollie area for outstanding comfort that will last longer than regular shoes! 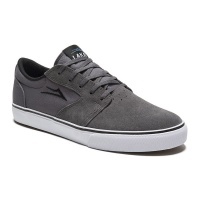 The Lakai Fura Skate shoes in Black Grey Suede, built for comfort, protection, style and not to mention quality! 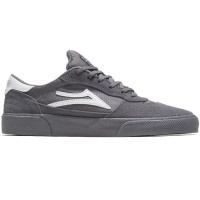 Lakai coming in with another solid colour way for the griffin shoe. Just look at this Orange and Black offering. This one is going to be popular. 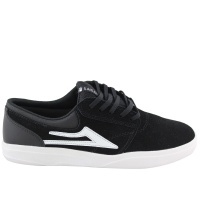 Lakai coming in with a solid colour way for the griffin shoe. Just look at this light blue tasty offering. This one is going to be popular. 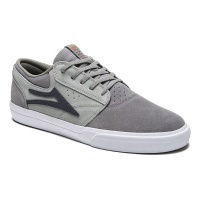 A highly requested all time favourite for skaters all over the world, the Lakai Griffin combines shock absorption, breathability and quality design. 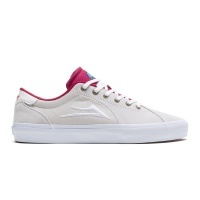 Another colourway for the hugely popular Griffin skate shoe. 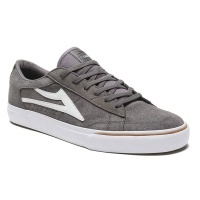 This time in the standard low-top shoe, Lakai have used an eye catching grey camo design on the tongue and cuff. Signature XLK shock absorption performance looking its finest for Spring 2017. The Griffin being one of our most popular models combines flawless style and comfort! 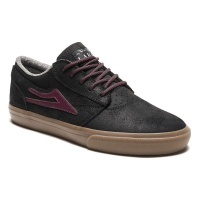 Another awesome edition to the Lakai famalam. 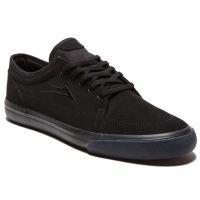 Well known and spoken highly for quality in construction, the Lakai MJ has had no expenses spared! 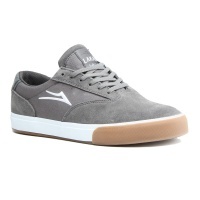 This low profile shoe is one of the most stylish Lakai do and in this lovely and clean colourway we know you are going to love it. You don't wanna miss your chance to get them. 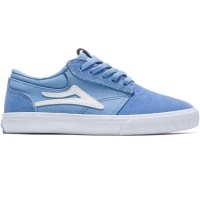 This is the latest colour way from Lakai for the MJ. 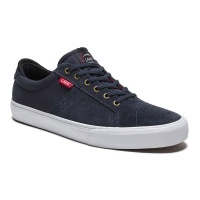 It features a beautiful navy blue suede upper, with a gum sole that provides unbeatable board feel. For those seeking the cleaner, sleeker look with a lighter feel to the famous Griffin shoe. Smart, light, durable and comfy. What more do you need in a shoe? 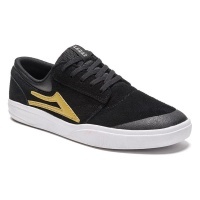 Lakai and Independent Truck Company team on this latest Riley Hawk. When Riley came in to work on his shoe, his points of reference included the Camby and Owen.